When king Mosiah, the son of king Benjamin, died he did not appoint someone to succeed him as king (Alma 1:1). Instead, he established a legal code and a system of judges to enforce the law (Alma 11:1–2). In this new law, Mosiah specified that the judges should be paid for their time (see Alma 11:1). However, John W. Welch has explained that, in order to do this, Mosiah would have needed to standardize a system of weights and measures to make sure all the judges were actually getting paid fairly. However, there is an ancient Near Eastern precedent for this kind of standardization. As Welch has noted, the ancient Mesopotamian laws of Eshnunna began with a list of “exchange equivalencies” such as “1 kor barley for 1 shekel silver.” Welch further explained, “The laws of Eshnunna established fixed silver values for oil, salt, wool, copper, sesame oil, and lard.” The list of equivalences that introduces the laws of Eshnunna is remarkably similar to the Book of Mormon. King Mosiah’s system in Alma 11:3–19 resembles Eshnunna’s, even down to the phrasing of the list. Welch observed that “the standard phrasing ‘One kor of barley is (priced) at one shekel of silver’ resembles ‘A senum of silver was equal to a senine of gold’ (Alma 11:7).” Interestingly, the “primary conversion in ancient Babylonia was between barley and silver,” just as it was in the Book of Mormon (Alma 11:7). Welch further noted that the introductory list in the laws of Eshnunna converts some goods “into silver values, followed by three more provisions that convert others into measures of barley. Thus, precious metal and grain measures were convertible into each other.” The laws of Mosiah appear to have been the same in this respect: “A senum of silver was equal to a senine of gold, and either for a measure of barley, and also for a measure of every kind of grain” (Alma 11:7). Both systems even allowed people to sell a variety of goods while still measuring their values in terms of gold, silver, or barley. Even the motivations behind the two laws appear to have been similar—to standardize daily wages for certain professions. The laws of Eshnunna set prices for the labor of people like harvesters and boatmen, just like king Mosiah set a specific wage for judges: “And the judge received for his wages according to his time—a senine of gold for a day … and this is according to the law which was given” (Alma 11:3). His desire to standardize the weights and measures show that he was serious about providing a fair wage for the judges who would replace him. This detail may help to explain, in small part, why Mosiah’s people “did wax strong in love” towards him, and “did esteem him more than any other man.” His actions showed that he was not “a tyrant who was seeking for gain, yea, for that lucre which doth corrupt the soul; for he had not exacted riches of them.” His laws had helped to create “peace in the land,” so his people “did esteem him, yea, exceedingly, beyond measure” (Mosiah 29:40). This standardization changed Nephite society in significant ways and could have led to a just and stable political system. Unfortunately, the new system was soon corrupted, with judges artificially attempting to give themselves more work, leading to predictably disastrous results. However, nobody can blame Mosiah for the corruption of a just system. The similarities between the laws of Eshnunna and Mosiah’s law code highlight Mosiah’s desire to create justice, peace, and equity throughout his kingdom, but they also show the reader something else about him. If his desire to have his line end with him had simply been an act, he almost certainly would not have prepared so carefully for those who were to follow him in leadership. His careful attention, even to the wages of the judges, shows his genuine concern for the survival of the new judgeship for future generations. John W. Welch, “Weighing and Measuring in the Worlds of the Book of Mormon,” Journal of Book of Mormon Studies 8, no. 2 (1999): 36–45. John W. Welch, “The Laws of Eshnunna and Nephite Economics,” in Pressing Forward with the Book of Mormon: The FARMS Updates of the 1990s, ed. John W. Welch and Melvin J. Thorne (Provo, UT: FARMS, 1999), 147–149. John W. Welch, “The Law of Mosiah,” in Reexploring the Book of Mormon: A Decade of New Research, ed. John W. Welch (Salt Lake City and Provo, UT: Deseret Book and FARMS, 1992), 158–161. Joseph Fielding McConkie and Robert L. Millet, Doctrinal Commentary on the Book of Mormon, 4 vols. (Salt Lake City, UT: Bookcraft, 1987), 2:318. Paul Y. Hoskisson, “Mosiah2,” in Book of Mormon Reference Companion, ed. Dennis L. Largey (Salt Lake City, UT: Deseret Book, 2003), 569. John W. Welch, “The Law of Mosiah,” in Reexploring the Book of Mormon: A Decade of New Research, ed. John W. Welch (Salt Lake City and Provo, UT: Deseret Book and FARMS, 1992), 160. John W. Welch, “Weighing and Measuring in the Worlds of the Book of Mormon,” Journal of Book of Mormon Studies 8, no. 2 (1999): 40. For an alternative perspective based upon Egyptian examples see John Gee, “Wages and Measures in the Book of Mormon,” at Ether’s Cave: A Place for Book of Mormon Research, September 15, 2013. Welch, “The Law of Mosiah,” 160. 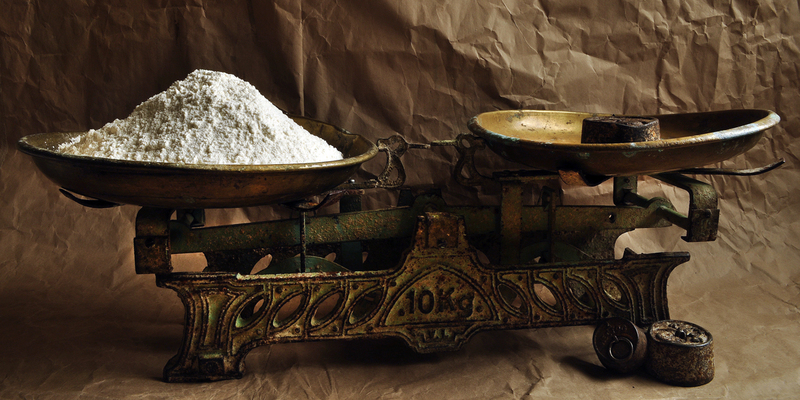 Welch, “Weighing and Measuring,” 41. In addition to its similarities to a Mesopotamian system, noted below, this system is also vaguely reminiscent of an Egyptian weights and measures system. Paul Rytting, “Mosiah2,” in Encyclopedia of Mormonism, 4 vols., ed. Daniel H. Ludlow (New York, NY: Macmillan, 1993), 2:960. There are a few textual variants in the list of names for weights and measures. See Royal Skousen, ed., The Book of Mormon: The Earliest Text (New Haven, CT: Yale University Press, 2009), 763. 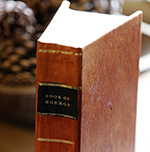 See also Royal Skousen, ed., The Printer’s Manuscript of the Book of Mormon, Part One: 1 Nephi 1–Alma 17, The Book of Mormon Critical Text Project, Volume 2 (Provo, UT: FARMS, 2001), 441–442; Royal Skousen and Robin Scott Jensen, eds., Revelations and Translations, Volume 3, Part 1: Printer’s Manuscript of the Book of Mormon, 1 Nephi 1–Alma 35, The Joseph Smith Papers (Salt Lake City, UT: Church Historian’s Press, 2015), 409–411. Welch, “Weighing and Measuring,” 41. Martha Roth, “The Laws of Eshnunna,” in The Context of Scripture, 3 vols., ed. William W. Halo (Leiden: Brill, 2003), 2:333. Roth, “The Laws of Eshnunna,” 2:333. Brant A. Gardner, Second Witness: Analytical and Contextual Commentary on the Book of Mormon, 6 vols. (Salt Lake City, UT: Greg Kofford Books, 2007), 4:183. For more on this transition, see Byron R. Merrill, “Government by the Voice of the People: A Witness and a Warning,” in Mosiah, Salvation Only Through Christ, ed. Monte S. Nyman and Charles D. Tate, Jr., The Book of Mormon Symposium Series, Volume 5 (Provo, UT: Religious Studies Center, Brigham Young University, 1991), 113–137. Book of Mormon Central, “What Do the Jaredites Have to Do with the Reign of the Judges? (Mosiah 28:17),” KnoWhy 106 (May 24, 2016); Book of Mormon Central, “How Were Judges Elected in the Book of Mormon? (Mosiah 29:39),” KnoWhy 107 (May 25, 2016). This is in stark contrast to the beginning of the Zeezrom story, where the weights and measures system is found. See Book of Mormon Central, “Why Would Zeezrom Attempt to Bribe Amulek? (Alma 11:22),” KnoWhy 118 (June 9, 2016). John W. Welch, The Legal Cases in the Book of Mormon (Provo, UT: Brigham Young University Press and the Neal A. Maxwell Institute for Religious Scholarship, 2008), 252–254. Hugh Nibley, Since Cumorah, The Collected Works of Hugh Nibley, Volume 7 (Salt Lake City and Provo, UT: Deseret Book and FARMS, 1988), 351. 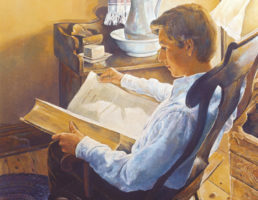 For more on the character of King Mosiah the son of Benjamin, see Kay P. Edwards, “The Kingdom of God and the Kingdoms of Men (Mosiah 25–29),” in The Book of Mormon, Part 1: 1 Nephi to Alma 29, ed. Kent P. Jackson, Studies in Scripture: Volume 7 (Salt Lake City, UT: Deseret Book, 1987), 270–282.